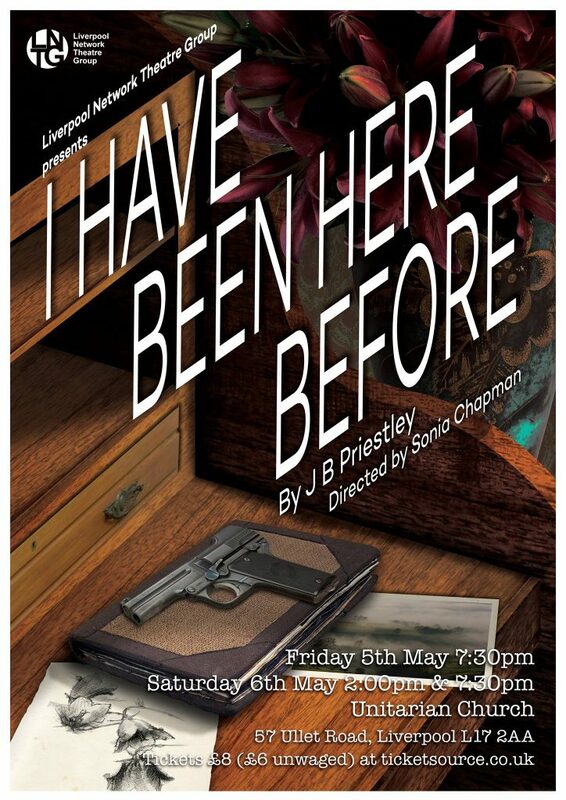 Network’s spring play, JB Priestley’s “I Have Been Here Before” is almost upon us! The show will be performed Friday 5th May (7.30pm) and Saturday 6th May (2pm & 7.30pm) at the Unitarian Church on Ullet Road and we’re all looking forward to what’s in store for us here. 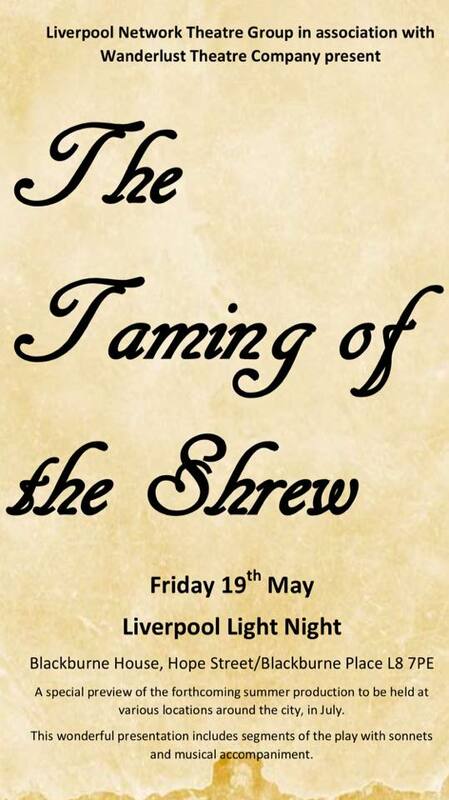 Also, if you’re around town on Light Night (Friday 19th May), why not pop into Blackburne House, where LNTG will be performing a preview of this year’s summer show, The Taming of the Shrew, along with some of Shakespeare’s sonnets?